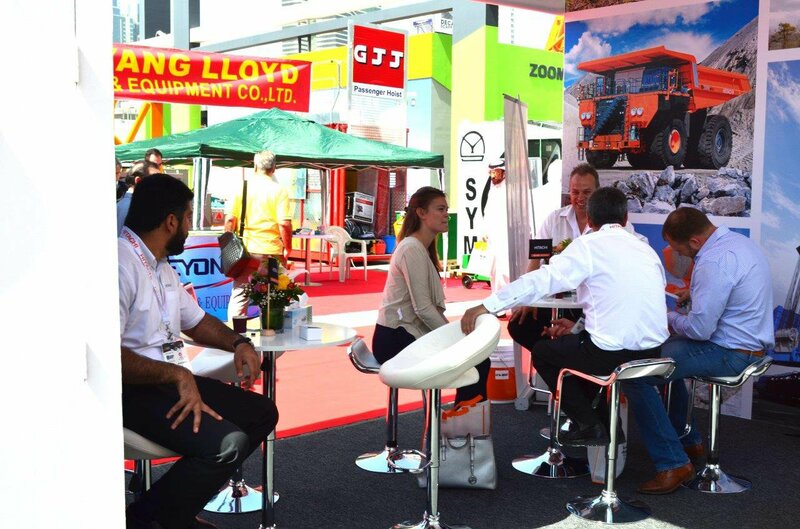 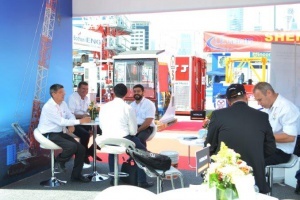 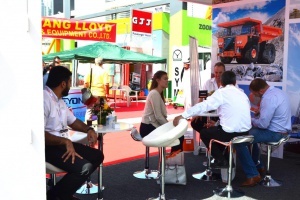 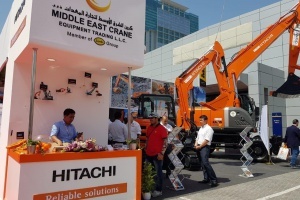 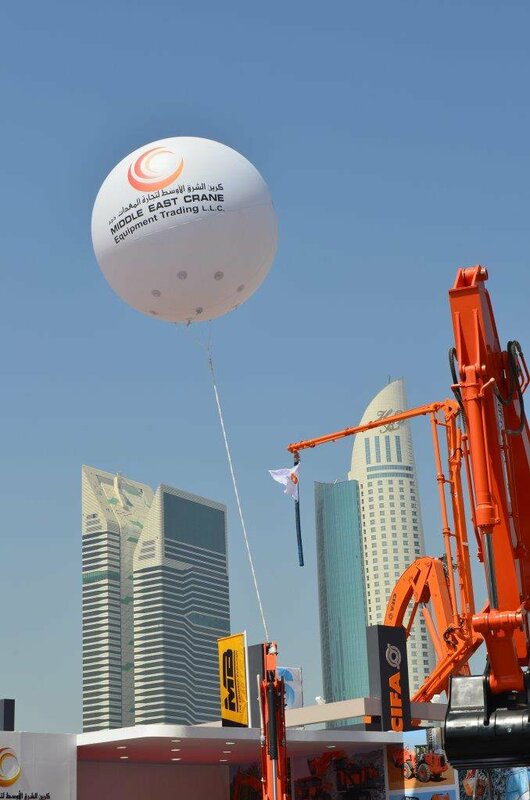 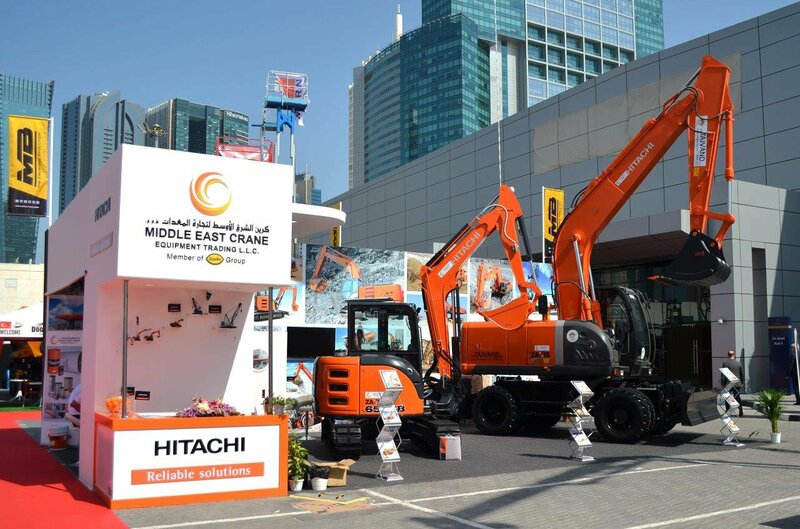 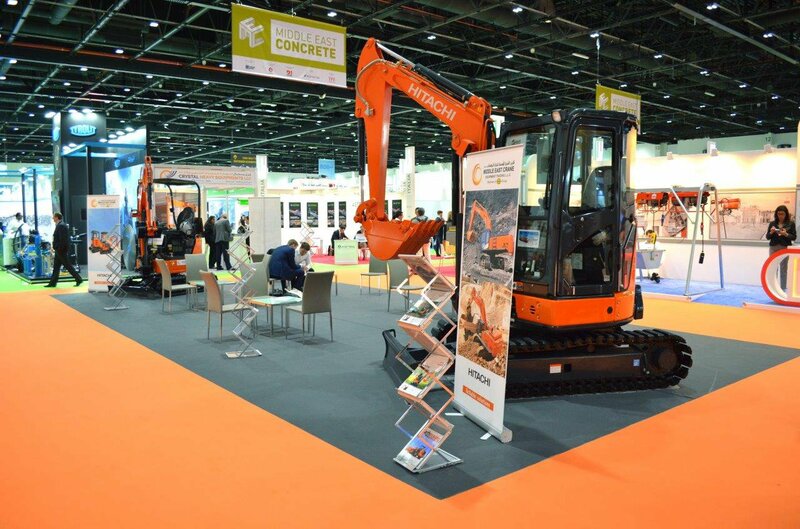 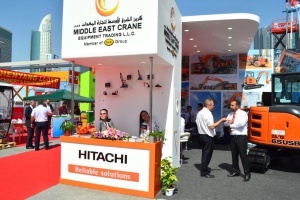 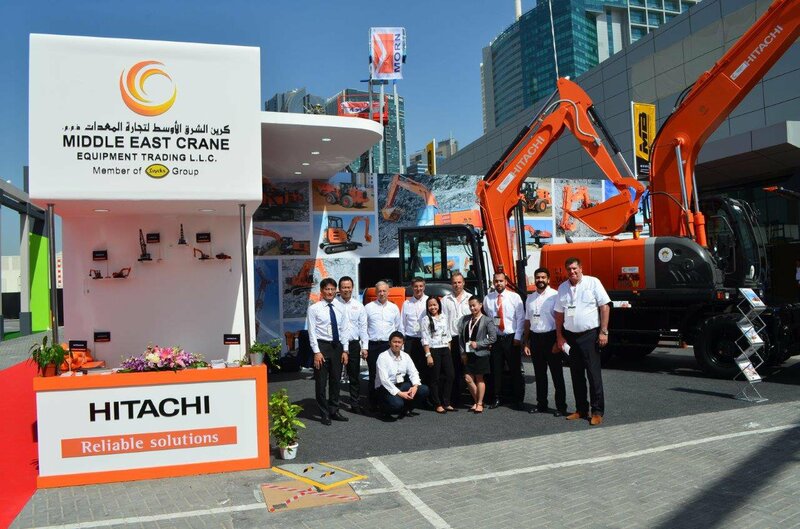 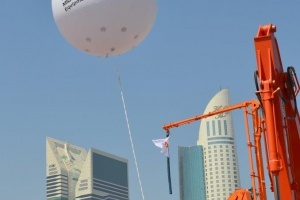 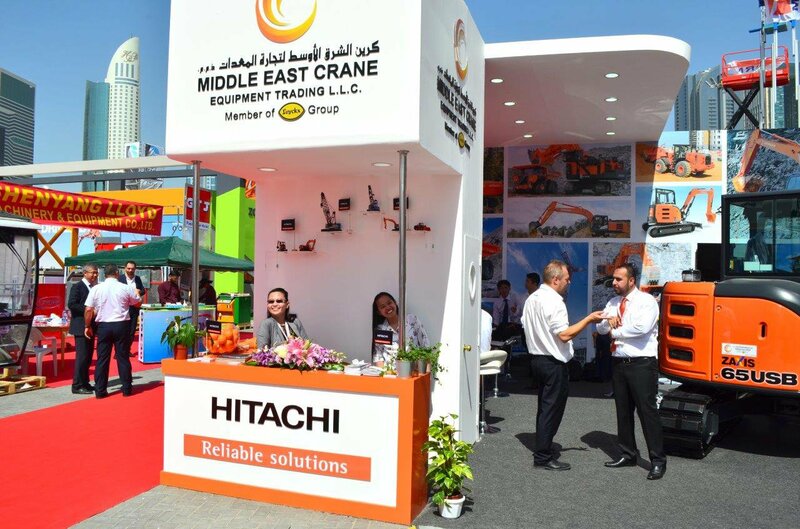 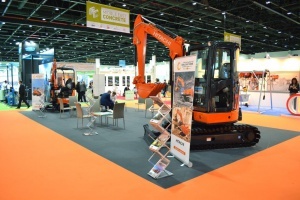 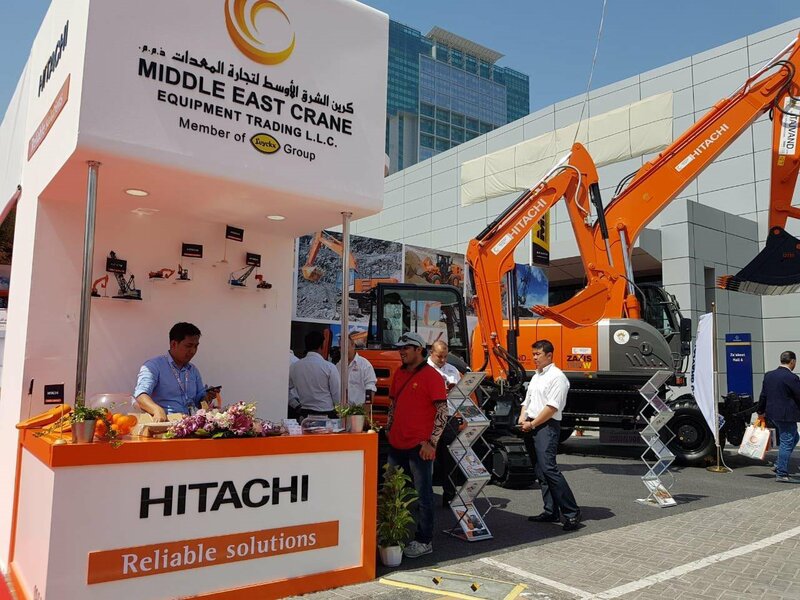 Being divided in different areas like: Concrete , Mining and Quarrying, Foundation and road construction, Middle East Crane was having a spacious outside booth to be able to showcase some machines from their available product line in the UAE. 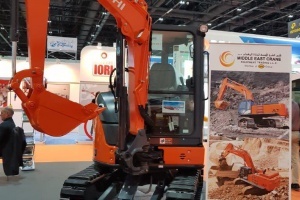 Two Mini excavators where placed in the indoor area being light in weight and having rubber “ City pads” not to damage the surface. 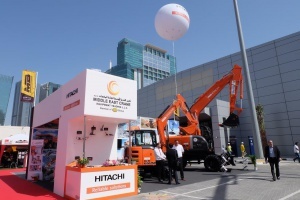 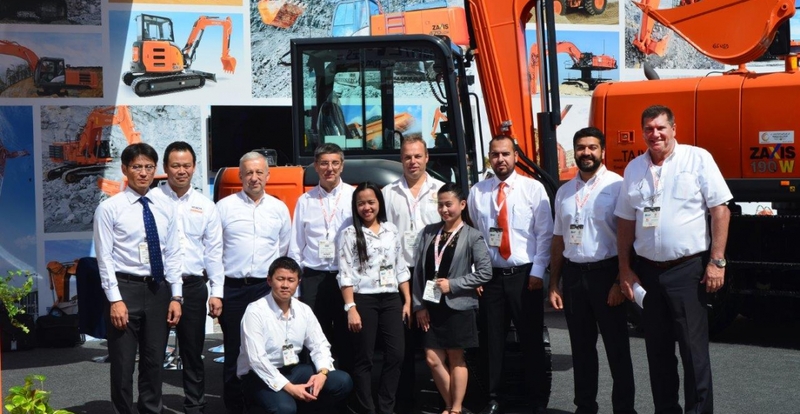 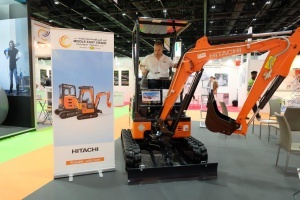 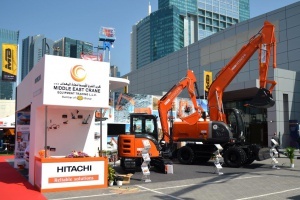 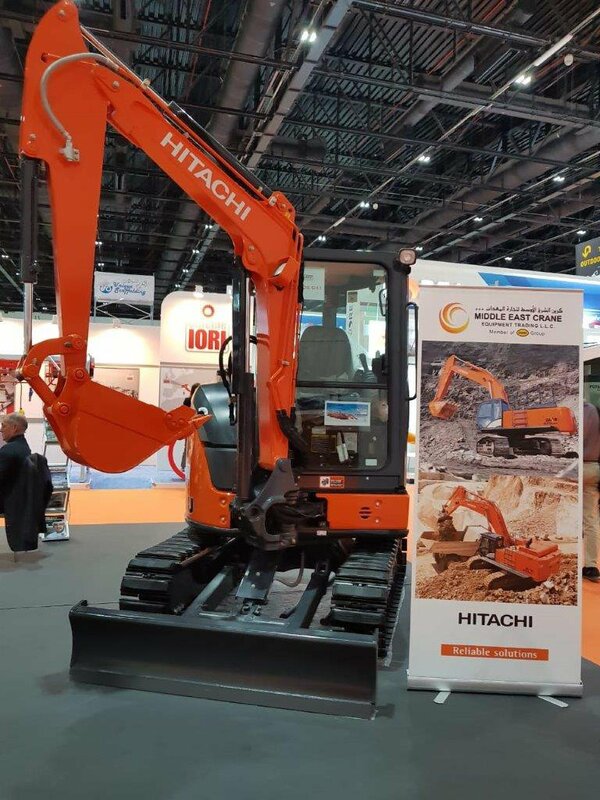 With an new series coming up from the Hitachi wheeled excavators : (ZX 170W-5A, 190W-5A, 210W-5A ) the product deserved to be showcased because of its growing popularity. 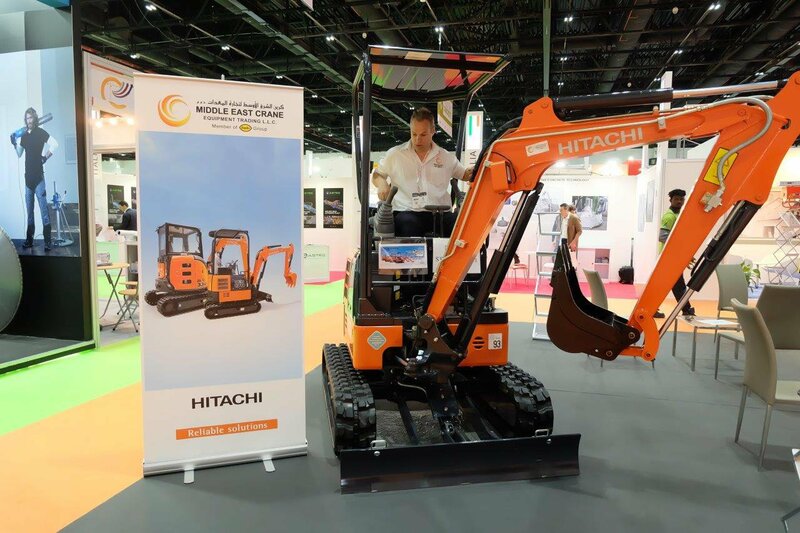 On the other hand the Mini’s are easy taking over Market share from the traditional Backhoe Loaders market and because of that several Hitachi Mini Excavators where available in and outdoors. 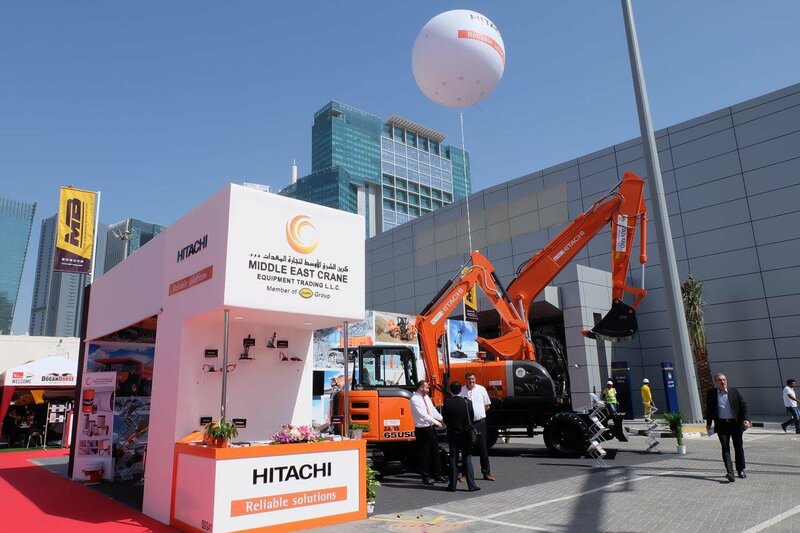 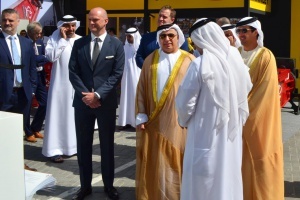 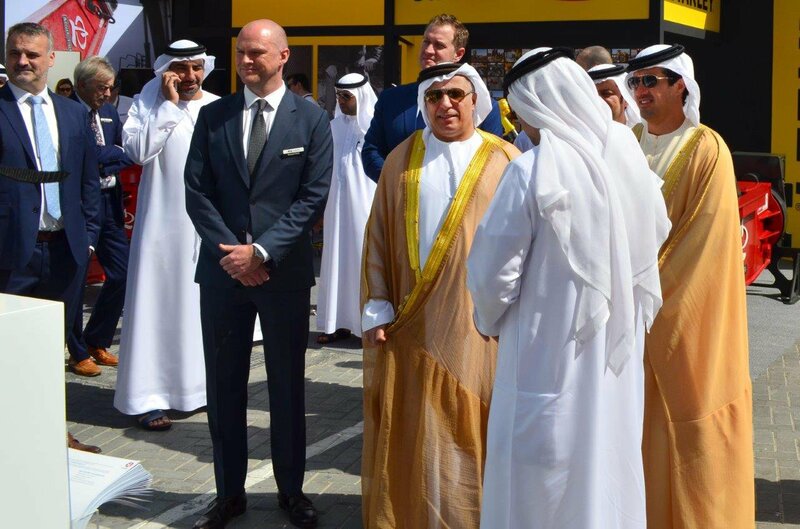 With an interesting numbers of visitors coming from the UAE the GCC and other Middle East and African Countries MECET attracted a nice audience and invested in the awareness of HCM in the UAE. 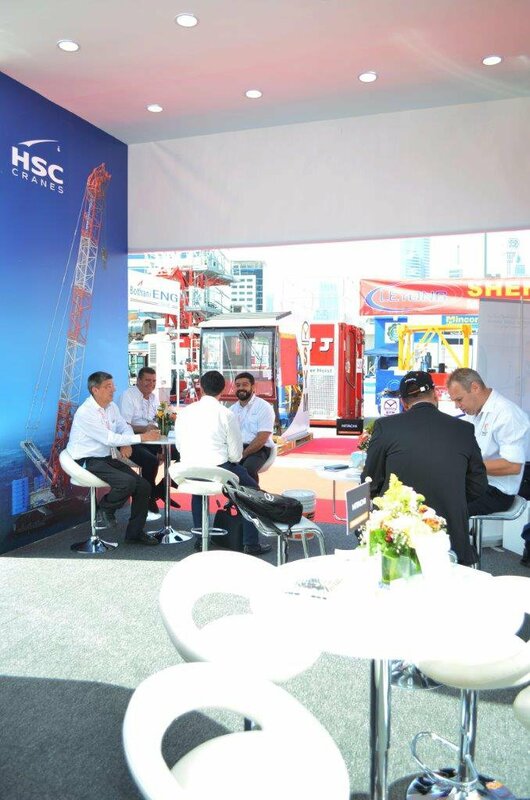 We can look back at a succesfull event and we would like to thank all our visitors.